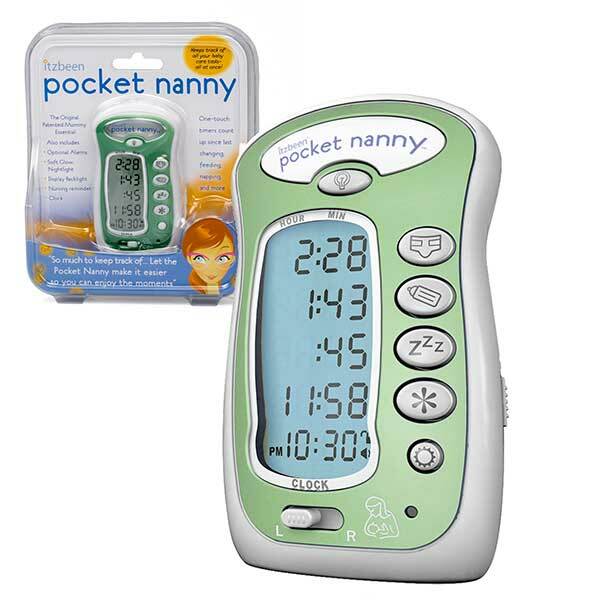 The ITZBEEN Pocket Nanny is a clever, multi-purpose baby care timer. Four timers help new, sleep deprived parents remember and communicate the basics of baby-care, like: how long ago they changed a diaper, fed the baby, put them down for a nap, or gave them medication. Each timer can also give a reminder at certain intervals, if desired. Other helpful features include: back clip, nursing reminder switch, illuminated display, clock, and a soft nightlight for changing diapers in the dark. I had another mom recommend this to me and it was so helpful with my twins.